All Silhouette cutting machines use a free included software called Silhouette Studio. It’s a great idea to download and install the software before you even purchase a machine, just to take it for a test drive. This is a great way to see how your computer handles the software. It’s also wise to start learning the software while you wait for your machine delivery if you order it online. Although software discs used to be included in machines, they aren’t any longer. That’s actually for the best, because the disc was frequently out of date because of the time difference between packing and purchase. Many newer computers will not have a disc drive, as most software can now be obtained online. By downloading the software from the website you are certain you are getting the most recent version, which I always recommend doing. The Basic version of Silhouette Studio is free to anyone and may be downloaded from the Silhouette America website at any time. The instructions here will also pertain to the other software I discussed in our previous lesson. On the website, you will see the option to Update Software. The regular download will be the same as the update. Since it is a free software, it can be put on as many computers as you like. To start with Lesson 1 of the Before You Begin series, go here. –Look in the top section called Desktop Applications. –The first option is Current Version. That’s the one you want. Notice that the current version requires Windows 7 or higher or Mac OSx 10.7 or higher. If your computer has a lower operating system, check this post for information about Legacy versions. –Under the column “Link,” select your computer type (Windows or Mac). –Your computer should begin the download process. If it doesn’t, try a different internet browser. Wait for the file to download completely. –Some computers will begin the install automatically after completing the download; others will not. This depends on your computer operating system, your internet security program and settings, etc. If the file finishes downloading and does not start to install (be sure to wait a moment or two), go to the downloads folder on your computer to find the file and click on it to begin the installation. If you are unsure how to find the downloads folder, type CTRL+J while you are on any internet browser and your computer will show your downloads. Your computer will guide you through the installation. Click “Next” when prompted. If your computer asks for permission for Aspex to make changes to your computer, be sure to allow this. Aspex is the company that programs the Silhouette software. The software will prompt you to open it when the installation is done. Click “Finish” to launch the software, or uncheck the box to close the installation wizard and start at another time. If you have any problems with the installation, try doing a right click on the file in your downloads folder and select “Run As Adminstrator.” You may also need to temporarily turn off your virus protection software. Because the software accesses the internet and because it’s an executable (.exe) file, your computer wants to make sure you are the one doing it and that it’s not some sort of outside source. Once the file has downloaded, open your Downloads folder and drag the file to your Applications folder. This will install the software. –If the software does not automatically open when finished, then click the icon on your desktop or in the programs list (Windows) or Applications folder (Mac) to start the program. –As the software begins to open, you will see the splash screen. Be patient as it may take several minutes to open. In the next lesson, I’ll show you why and how to set up your account. i installed the software, but i only get a blanc window after instaalation? Hi Louise! A couple of questions — 1) Are you on a Windows or Mac computer? 2) Do you know which operating system it is (Windows 8, Mac Sierra, etc)? 3) Did you restart your computer after installing the software? Sometimes if you are on a Windows computer and install a program, there’s a box on the end “Finish” screen that says “Launch program.” It’s often better to have that NOT checked before you click Finish, then start the program from your desktop or programs list. I’m not sure if you’re able to or not, but if you can post a screenshot of what you see that’s helpful. If not, I’ll send you an email and you can reply to that with a screenshot. Another issue on a Windows computer can be the need to update the graphics card. You can find info about that here https://www.silhouetteamerica.com/faq/solution/graphics-card-update-instructions. I downloaded the studio but it keeps saying I need to free up disk space. I’ve went into my settings and cleaned everything but it keeps saying that and will not let me click into the studio. Any suggestions?? If your computer shows that you have enough space, make sure you have rebooted your computer following the software installation. If you are still encountering issues, you’ll need to contact Silhouette America’s Customer Support https://www.silhouetteamerica.com/contact or your computer technician. How long does it actually take to download? Mines been downloading for about 20 minutes now. It can depend on your internet speed, your virus protection software and which browser you are using. If you were not able to get it to download so you could install, try using a different web browser to download. For example, if you were using Google Chrome, try Mozilla Firefox instead. Is there a procedure for migrating the software from Windows to Mac? Do all the fonts transfer with a copy/paste? Where should i put them on the Mac? There are several components to your questions, and it depends on which version of the software you are using. So I’d need more info to answer your first question. Can you tell me your full version? (Find it by going to the Help>About Silhouette Studio drop down menu). I’d need to know all 3 numbers. For example, the current version is 4.1.468. 1) Are you asking about files you created and saved to your hard drive, saved to your library, or both? 2) Are you also asking about files you purchased from the Silhouette Design Store? 3) Do you have an upgraded license keys (Designer Edition, etc)? Fonts you purchased from the Silhouette Design Store will automatically transfer and install once you get the library into the Mac computer. Again, how you do that varies based on your software version. You will likely need to restart the software after you transfer the library, as fonts are loaded into the program on startup. Fonts you have gotten elsewhere will not automatically copy, as that is something that is outside the software itself. You’d need to download those again from the website where you got them, or if they are still in your downloads folder of your Windows computer you can copy them over and install them on the Mac. 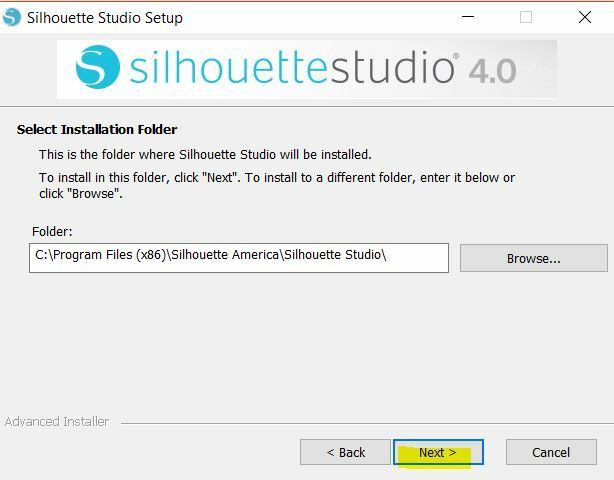 You can find info about manually installing fonts here https://www.silhouetteamerica.com/faq/solution/fonts-offered-from-silhouette-america. That will help you to know where to put them on your Mac. A Mac, like a Windows computer, will come with some default fonts preloaded. Those may be different, but some will be the same. A runtime error is a tricky one that could have multiple causes. It’s typically caused by something missing during the installation, often due to the permission levels set on the computer. It can depend on your type of computer, operating system, whether or not you’ve done all computer updates, etc. Here are some things to try (in order). 1) Double check the software’s minimum requirements here https://www.silhouetteamerica.com/faq/solution/software-minimum-system-requirements to make sure your computer is capable of running the program. Some older computers may need to run an earlier version of the software. 2) Restart the computer. 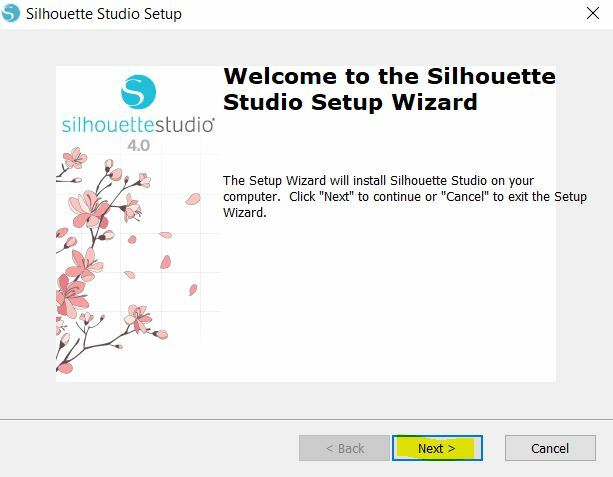 3) Find the Silhouette Studio program in your list of programs, right click and try to Run As Administrator. 4) If it still won’t open, next try to uninstall and then reinstall the software. 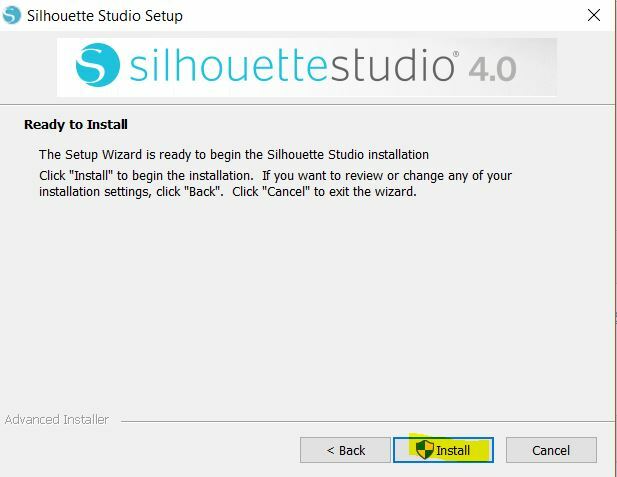 Instructions are here https://www.silhouetteamerica.com/faq/solution/software-downgrade for uninstalling (you don’t have to do the installing a lower version at this point, unless you discovered in step 1 that your computer doesn’t have the minimum requirements). Then sign in as the administrator on your computer before reinstalling the program. If you aren’t sure how to do that, you can instead find the software download in your downloads folder, right click and do Run as Administrator. 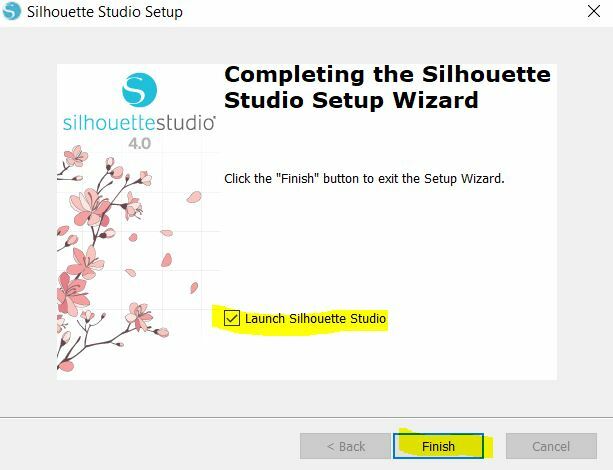 At the end of the installation, uncheck the box for Launch Silhouette Studio before clicking Finish. Redo step 3. 5) If you still get the message, you’ll want to try what’s called a clean uninstall. That removes all the hidden folders as well. Try the manual reset option found on this page https://www.silhouetteamerica.com/faq/solution/library-corruption-issue. When you’ve deleted the folders it tells you to, do Step 3 again. If you still aren’t able to get it to run, you’ll need to contact Silhouette America’s customer support at support@silhouetteamerica.com. Take a screenshot of the error and in the email describe as completely as you can what’s happening and tell them all the steps you’ve taken before contacting them. If you need them to walk through it more with you step by step, you can try the Chat option. You’ll find a link to that here https://www.silhouetteamerica.com/contact. after installing sihouette, i can’t open studio and it says “api-ms-win-crt-heap-l1-1-0.dll” is missing from your computer. I’ve not seen that particular error before, but have a couple of guesses of things to try. What it’s telling you is 1) Make sure your Windows computer is up-to-date. If the software is looking for a file within the computer that it can’t connect to, you could get this error. 2) It’s possible there was a problem during the installation of the software itself. The first step is always to turn your computer off and back on, as sometimes that clears things up. If you still get the same message, I recommend uninstalling and reinstalling the software. If it STILL won’t open, then uninstall it again, delete the preferences folder as described here: https://www.silhouetteamerica.com/faq/solution/software-crash-on-initializing, and install again. Be sure to give permissions each time you are asked during the install process. It can also be helpful to uncheck the box beside “Launch software” at the end of the install. If none of this helps, you will need to contact Silhouette America’s support via the chat on their website (https://www.silhouetteamerica.com) or by email at support@silhouetteamerica.com. Is there software for the silhouette sd that is compatible with the latest version of MacOS? Hi Michael! The current Silhouette Studio software on the Silhouette America website works with ALL Silhouette cutting machines. My son has my original machine (the one previous to the SD) and uses it. I just bought a new Mac and can not get the application to download either… it pretty much says the computer is ahead of the current version of the studio? Did you get yours figured out? The latest Mac version is Mojave. I use a Windows computer, but have checked with several folks who teach with Macs and they have been able to successfully install and use the software with Mojave. Make sure you are downloading the Mac version. It should have .dmg at the end of the file name. The .exe is the Windows version. Once you download it, drag it from the downloads folder to the applications folder to install. (This may be info you already know, but just making sure). If you still get the error, take a screenshot and email the Silhouette support department. Hello! My HP Pavillion with Windows 10 has a partitioned hard drive. The D drive is much larger then the C. I would like to install the program on D. When it asks me to choose a place to save the program I selected browse and chose D. Then it never fully installs just keeps saying it is still installing. Any ideas? I’ve not seen a partitioned hard drive be the issue with the software installing, so I suspect it’s some other issue. I would first try checking your list of installed programs to see if it’s in there at all. If it is, uninstall it and start from scratch. You’d also want to check for the preferences folder and delete that as well before reinstalling. Look here — https://www.silhouetteamerica.com/faq/solution/library-corruption-issue — at the section called Manual Reset Option. If you still can’t get it to install properly, you’ll need to contact Silhouette America’s customer service. Their email address is support@silhouetteamerica.com. They also have a chat on their website. It would be really helpful to include a screenshot of what you are seeing when it won’t complete the install. I have been installing this program for five days now. I boosted my internet speed and restarted the computer. It is still running slow. I’m not sure what the issue is. Please let me know if there is anything else I could do! I have a silhouette cameo that was purchased a while ago. It has never been opened. I need to purchase a new computer, because I only have a tablet. But my main concern is the windows 10 ok to use with this machine. Absolutely! If there’s ever any issue, it’s usually the reverse — that the computer is too old for the machine, not the machine too old for the computer. In fact, my son still uses my very first machine I bought in 2008. Once is a great while a new operating system comes out and the Silhouette software developers have to adjust the software a bit. But that’s not often and since Windows 10 has been out quite a long time you are safe.